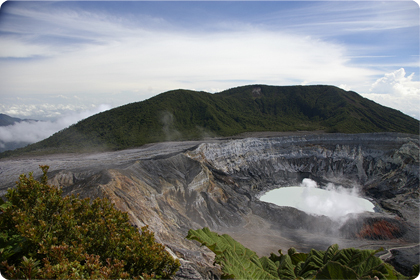 DANTA adheres strongly to the social and environmental tenants of responsible tourism. We aim to maximize economic benefits, and generate a greater appreciation and understanding of the natural and cultural heritage of areas in which are programs are held. To ensure that funds remain in the host countries, we only use locally owned hotels, field sites, and transportation companies. All food and supplies are purchased locally, and the field sites are staffed by people from the neighboring communities. All efforts are made to instill cultural sensitivity and respect between our students/tourists and hosts. DANTA offers a couple of scheduled tours annually, but we can custom build a tour for any group of 7 or more participants. All profits from our tours and educational programs are used to provide scholarships to Latin American students to attend our tropical biology and conservation training programs, or equivalent programs that are more accessible to the scholarship applicants. 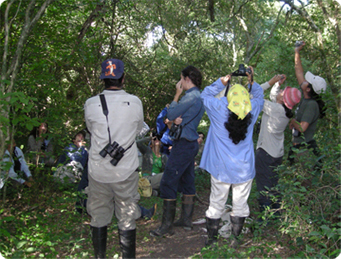 In 2008, for example, we provided funding for 3 Bolivian students to attend a primate conservation course in Argentina. We also contribute funds to projects directly benefiting the host communities (e.g., donations to the local Red Cross), and provide logistical assistance to US, Canadian, and European charitable organizations. 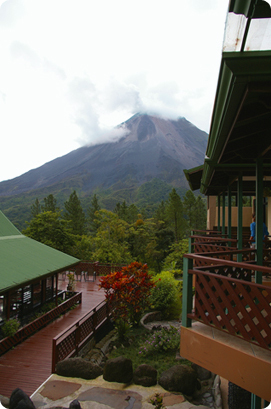 During the trip you will see the awe-inspiring tangled cloud forest of Volcan Poas National Park, as well as the spectacular fiery display of the Arenal volcano, observable from the comfort (and safety!) of our accommodation at the Smithsonian Observatory Lodge. We will relax in the hot springs in Fortuna, and will then head to the area of Manuel Antonio National Park for 3 days, a haven for exotic wildlife including sloths, three species of monkey and a colorful array of tropical birds (including, of course, various species of toucans and parrots). A highlight will be a dolphin viewing and snorkeling boat trip out into the Pacific Ocean. This Ecotourism Experience is open to members of the general public, as well as to DANTA field course participants, who wish to travel before the course. The price of the trip is $1100, and it includes all within country transportation, room and board, and all scheduled activities. The price does not include international airfare or airport taxes. The deadline for registration is June 1, 2010. Please see the trip itinerary for more information.